We are one of the leading manufacturers, suppliers and exporters of wide varieties of Flaking Machines like Paddy Roaster for Rice Flake, Paddy Roaster - Sandless Model - Batch Type, Rice Flaking Unit and Idiyappam Machine. 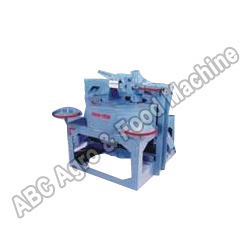 These high grade machines are fabricated using supreme quality raw materials. Highly acknowledged for their super toughness, durability and high performance these machines are made under the supervision of highly qualified engineers and technicians. Sophisticated machines and latest technology is used attain maximum quality and production, that’s why our industrial nuts are available at industry leading prices. One of our premier line of products include Idiyappam Machines. Made from finest of raw materials like stainless steel, these are highly durable. Tensile strength and dimensional accuracy are some of the highlights of these machines, due to our extensive use of leading technology. These are specially sought after in food processing industries, as these are available with capacity of 250 pcs/hr onwards. 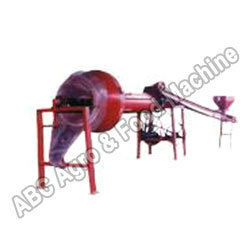 We provide these hi-tech machines with industry leading price. Under the competent guidance of our trained professionals, we offer Paddy Roaster – Sandless Roaster – Batch Type. 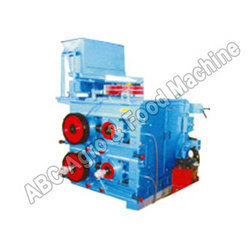 Manufactured by supreme quality raw materials, these are supreme quality machines. Used in flaking wheat, Maize and Parli, these are in high demand. These paddy roasters are also available with complete plant - Cleaner, Cooker, Boiler, flaker and Dryer at a very competitive price. Our organization is involved in manufacturing and supplying a wide range of industrial products which includes Paddy Roaster for Rice Flake. These are made using supreme quality raw materials like SS and MS with the help of advanced technology, which ensures their durability and corrosion resistance. Available in continuous and batch type models with sand and sandless roasting options, these are the best quality paddy roasters available in the market. Our expert team allows us to manufacture and supply supreme quality Rice Flaking Unit. Advanced quality materials along with the help of latest technology are used to produce these high performance flaking units. These machines are capable of producing rice flakes – Aval and Chira at a continuous high speeds. Belligerently priced in the world market, customers can benefit from high quality at very nominal rates.